Sponsored by: The Jewish Journal & Gulu-Gulu Café/Flying Saucer Pizza Co.
“Calvin and Hobbes” dominated the Sunday comics in thousands of newspapers for over 10 years, having a profound effect on millions of readers across the globe. When the strip’s creator, Bill Watterson, retired the strip on New Year’s Eve in 1995, devoted readers everywhere felt the void left by the departure of Calvin, Hobbes, and Watterson’s other cast of characters, and many fans would never find a satisfactory replacement. 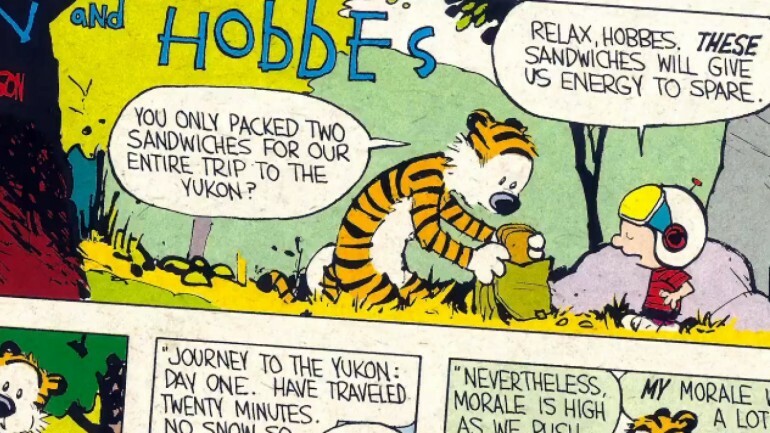 It has now been more than a decade since the end of the “Calvin and Hobbes” era. Bill Watterson has kept an extremely low profile during this time, living a very private life outside of Cleveland, Ohio. Despite his quiet lifestyle, Mr. Watterson is remembered and appreciated daily by fans who still enjoy his amazing collection of work. DEAR MR. WATTERSON is not a quest to find Bill Watterson, or to invade his privacy. It is an exploration to discover why his ‘simple’ comic strip made such an impact on so many readers in the 80s and 90s, and why it still means so much to us today.